It's been a tough week in our house. Bear has been on the couch for 7 of the past 8 days due to a fever, a ragged cough, and a list of other ailments. As active as he is, that many days in a row calls for some serious boredom on his part. So I've been pulling out all the stops to find some quiet and calm activities to do with my sick kiddo. Here are some activities we did, plus more from some other great sites. Grab some construction paper and make name aliens. Use old catalogs and magazines and hunt for letters or numbers like Learn with Play at Home did. A Jello sensory bin like Life Lesson Plans made allows for some calm play and a hydrating snack that's gentle on sick tummies. Help to open up little noses with peppermint playdough like Teaching 2 and 3 Year Olds features. Create a fingerprint "I Love You" book inspired by Life Lesson Plans. Crack a smile on your little one's face with one of these 50 great jokes for kids compiled by Childhood Beckons. Bust out the playdough and let little hands create. Here are several play starters. Snuggle up and read one of these great books. Make listening tubes like Teach Preschool did. What can you hear in your house? Have some good clean fun with soap and a household appliance. Find out how at hands on: as we grow. Take inspiration from Laughing Kids Learn and make some homemade puzzles using paper plates. Play a letter match game using this format from Taming the Goblin. Make collages out of cupcake liners like Danya Banya shares. Print out these great free activity sheets created by No Time For Flashcards. 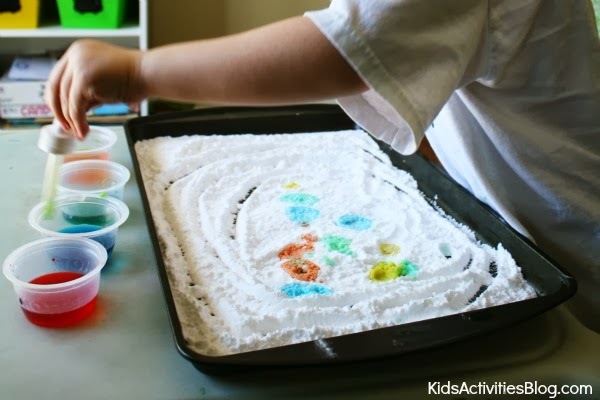 Have a little science fun with this fizzy drops activity from Kids Activities Blog. Set up a new sensory bin using one of these great ideas as inspiration. Hold a paper airplane race like Creative Family Fun suggests. Soothe sore throats with some warm Russian Tea using this recipe from JDaniel4's Mom. Create window mosaics with contact paper and tissue paper like these ones from MamaSmiles. Act in your own shadow puppet performance using these printable shadow puppet forms from Hugo and Mathilda. Foam shapes and water can provide some quiet, therapeutic play. 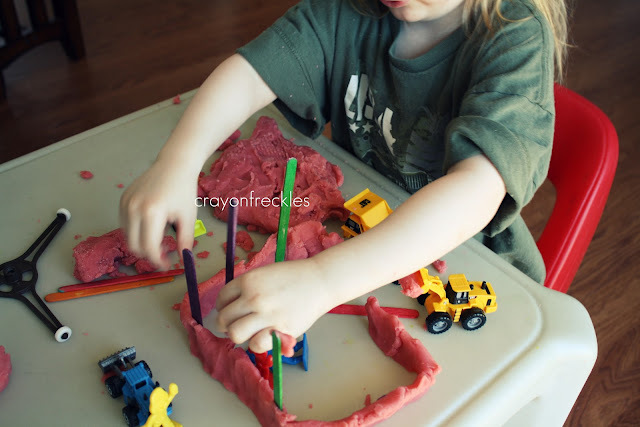 See how to make it work at Creative Play Central. 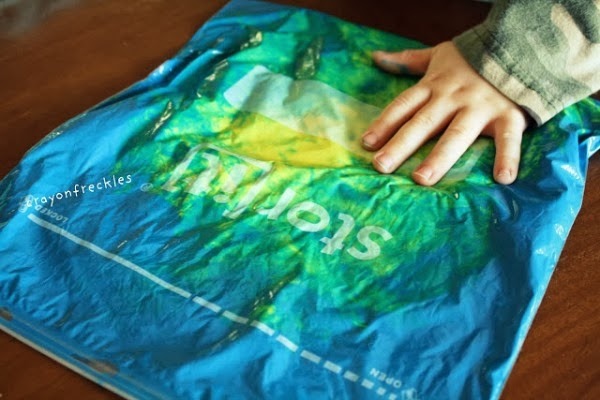 Have a sensory experience that's mess-free with a paint bag. Create torn paper mosaics inspired by these from 3 Dinosaurs. 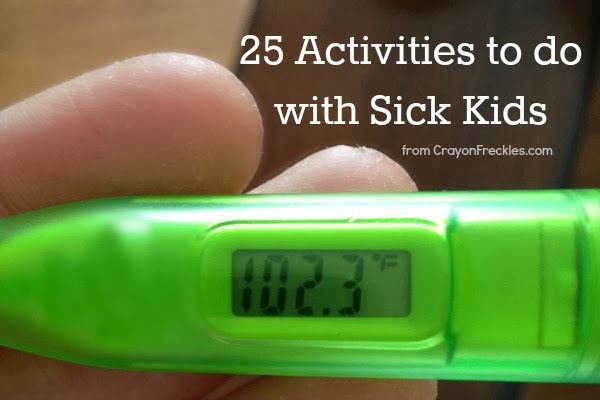 For more ideas, you can check out The Good Long Road's post on 12 ways to show your kids love when they're sick. What are some ways you keep your little ones occupied when they're sick? Great list of activities! I hope you all get to be healthy for a while now!